Jolly doesn't even begin to describe the man. The Guitar Hero franchise is a twisted, smoldering wreck, but that hasn't stopped a handful of developers from re-using the finger-tapping formula. That said, the team at Yuisy hopes to spread holiday cheer with its festive iOS and Android game, Santa Rockstar. 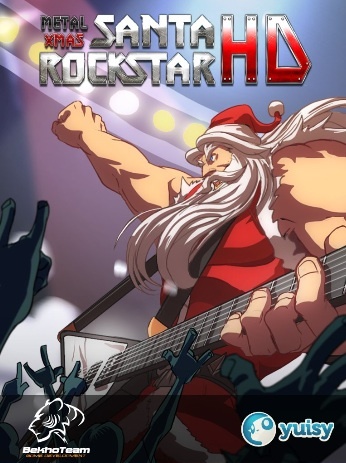 As the title implies, this music game casts Santa Claus as a heavy metal icon that jams to rock versions of the biggest holiday hits. Case in point, Jingle Bells, which you can listen to here. No word on how many songs will make the cut. All we can say, for now, is that Santa Rockstar will be available December 12 for $0.99. And so, the spirit of Guitar Hero lives on.